Will You Be A Trailblazer? I’ve had the great fortune to work with some TRAILBLAZERS who were incredibly successful . They won Entrepreneur of the Year awards, were featured in magazines, got media spots on TV news and lifestyle programs, make pitches on Dragon’s Den and created TED and TEDx talks. It has been such an honour to work these extraordinary individuals and to play a role in helping them to think Ten Times Bigger! 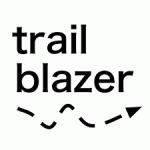 So what’s a Trailblazer anyway? I describe a Trailblazer this way — someone on a conscious journey from success to significance! They have big ideas and want to package something unique. They feel they have something to say and are ready to tell their story, whether that is the story of their business, their philosophy, and/or their personal story. They really are on a mission to make a difference and they are excited and committed to investing in themselves to reach your goals. “I am a communications and branding specialist”. “I am a Success Storyteller”. This is me of course, and what a difference it has made to my life and business being able to describe myself this way. It really makes me stand out from the pack. Defining your personal brand will give you laser focus, steer you on your path and you will be surprised at the new and exciting opportunities that will start coming your way. 2. Create a New Elevator Pitch for 2016: Be creative. 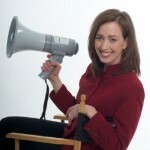 People want to hear about what you love to do and how you help people. Here’s a trick that works every time. Imagine you have to tell a 12-year old what you do? I am not being pejorative. Twelve year olds are the most savvy people around and their eyes will glaze over unless you “wow” them. “Most people think my job is boring until they hear about the time that I tracked down a CEO who embezzled millions from his company. I found him shacked up and hiding out with a young blond (not his wife) in a cabin in the Rocky Mountains, and successfully intercepted a large amount of the cash he’s stolen on a jet about to take off for the Cayman Islands. Hi my name is Paul Rodney and I am forensic accountant but I like to think of myself as an “Accountability Crusader” because I am like the Sherlock Holmes of Accounting! 3.Update your Social Media Profile: Did you know that most business people first go to LinkedIn to look you up even if you have a website or blog? So make that profile interesting to read! Fill out that Summary Section at the top with what you love to do and what you are really good it. “I call myself “The Kitchen Director” because I help people take the leading role in managing their kitchen to gain control and confidence over their food and meals. Whether you’re a parent who has to plan and prepare meals for your family, a business person who barely has time to eat, a senior looking for ways to remain independent, or someone who is managing a dietary change,you can benefit from learning kitchen skills to make choices that resonate with your specific needs and values. The way you package your brand story could make all the difference in 2016. It will change your story, your brand, the pictures you use to illustrate your brand, and most importantly how you feel about yourself and how others perceive you, not to mention help you reach goals that are Ten Times Bigger!